Looking for new ways to enhance your business? It only takes a little bit to start giving back to your community. An extra three dollars, to be exact. That’s the cost of using one block of renewable energy—affordable and sustainable, energy from wind, solar and biogas resources. It's Good for Business. Renewable energy isn’t just good for your organization’s image. 58% of consumers say they're willing to pay more for products from companies that are committed to a positive environmental impact. 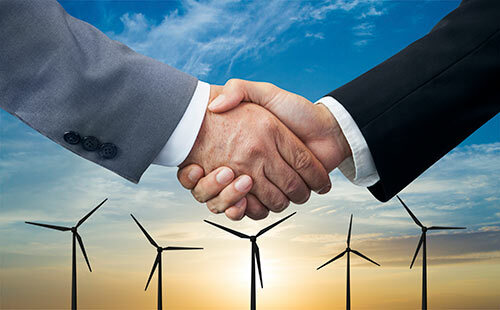 Joining is easy, simply complete the Choose Renewable for Business Form. There is no special equipment to install, and no change in the way you receive or use energy. You can start or stop your participation at any time, and you can use as many blocks of green power as you like. Get Started Today!